The three biggest Israeli banks surprised analysts’ estimates for second-quarter profit, by sending the banking index to its highest close in a month. The Tel Aviv Banking Index (TABANK), which includes the five biggest lenders, gained 1.2 percent to 1,107.58, set for the highest close it has had since Aug. 8. The index dropped 15 percent in the last six months, and the benchmark TA-25 fell 12 percent during the exact same period. Bank Hapoalim Ltd., the second-biggest bank, led the gains rising 3 percent to 14.91 shekels at about 1:46 p.m. Israel Discount Bank Ltd. (DSCT) was sent up 2.9 percent to 6.13 shekels, and the American Bank Leumi Le-Israel Ltd. fell 0.6 percent to 13.17 shekels. Bank Hapoalim’s net income rose 43 percent from last year to 712 million shekels, 11 percent more than the 643 million- shekel mean estimate by five analysts. Leumi, Israel’s largest bank by assets, said net income rose 10.7 percent to 563 million shekels or $158 million, beating the mean estimate of 535 million shekels by leading analysts. Second-quarter profit at Discount Bank climbed 48 percent to 231 million shekels, above the mean estimate of 192 million shekels by other leading analysts. 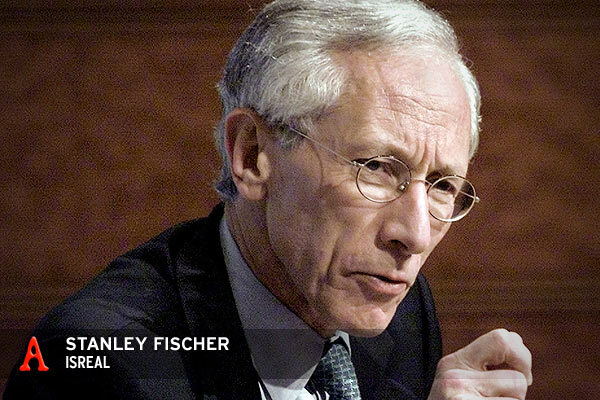 Stanley Fischer is keeping the benchmark interest rate unchanged at 3.25 percent for a third month as the economy expands and inflation slows down. The two-year breakeven rate reflecting the rate of inflation which traders generally expected dropped to 206.9 on Aug. 22nd. This is the lowest it has dropped in at least 14 months. The rate spiked two basis points to 2.24 percent last week. In other news, the unemployment rate fell to its all time low of 5.5% of the population labor force in the second quarter of 2011. Participation in the labor force jumped to 57.5% in the second quarter from 57.4% in the first. The number of employees was 3.2 million in the second quarter, a figure which includes 3.03 million employed by 175,000 private sector businesses. 58.9% of men over the age of 15 participated in the labor force in the second quarter, up from 58.3% in the preceding quarter, and the participation of women rose to 50% from 49.9%. The rate of men employed aged 25-64 rose to 72% from 71.7%, and the participation of women aged 25-64 shot up to 66.6% from 66.5%. The number of men employees spiked to 1.6 million in the second quarter from 1.58 million in the preceding quarter, and the number of female employees rose to 1.43 million from 1.42 million. The unemployment rate among people aged 25-64 fell to 4.6% in the second quarter from 5.2% in the quarter before that one. The unemployment rate among men in the age group fell to 4.6% from 5.5% and the unemployment rate for women fell to 4.5% down from 5%.